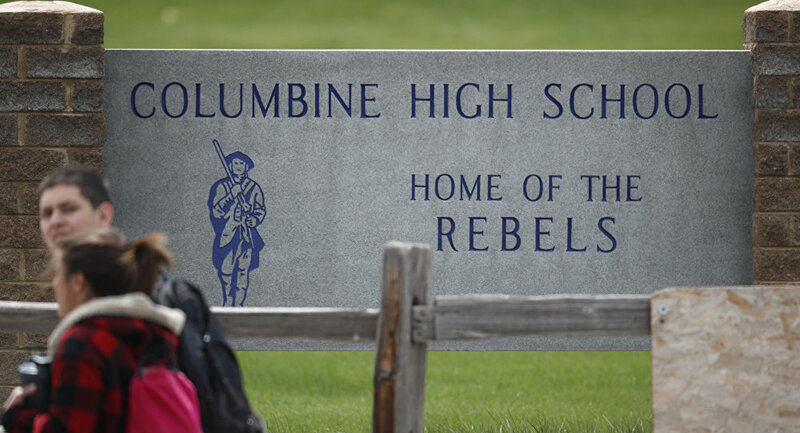 Authorities are searching for an armed woman in connection with alleged threats that led to lockouts at nearly 20 other Colorado schools, including Columbine High School. The sheriff's office said in a Facebook post that the threats were “credible but not specific” and did not target any school in particular. "It's a credible threat… but she did not make it directly," said Jenny Fulton, a spokeswoman with the sheriff's office. "There may be some connection to Columbine but it wasn't a specific directed threat towards Columbine." Earlier on Tuesday, the Colorado Department of Education recommended that Denver area schools conduct a "lockout" after receiving the threats. "We will have extra safety and security staff on site at all schools affected," Jefferson County Public Schools said in a statement.